Bruce is one of our Vancouver Wa massage therapists offering patients a chance to combine the benefits of chiropractic with massage. 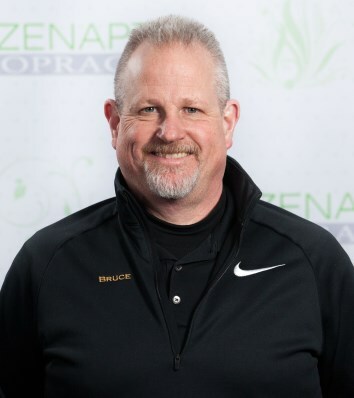 Bruce’s experience includes working with the training staff therapist to the Portland Timber Soccer Club and with the Portland Monarchs Football Club performing pre-event and post- event treatment massage on players. He has experience with injuries such as rotator cuff injuries, whiplash, tendonitis, patellofemoral syndrome and many other postural dysfunctions. Bruce is dedicated to personal wellness. His healthy living is reflected in his calm presence and strong hands. His massage style combines gentle specific stretches with direct focused strokes to release areas of tension and dysfunction. 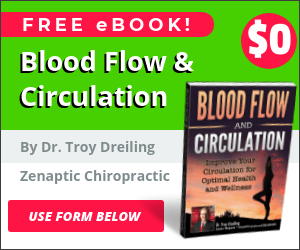 He uses techniques such as Myofascial Release, Thai, Sports Massage and Neuromuscular Therapy to restore optimum function and movement throughout the body. Bruce views the body as a whole with the goal of symmetry and balance, which are essential to health and well-being. Bruce graduated from Everest College with honors in Vancouver with an emphasis in sports and treatment therapy. Bruce loves to spend time with his family, which are his spouse Jane to whom he has been married 31 years, and has four wonderful daughters Annie, Jill, Kelly, and Kristin, five cute grandchildren, and two awesome big dogs.